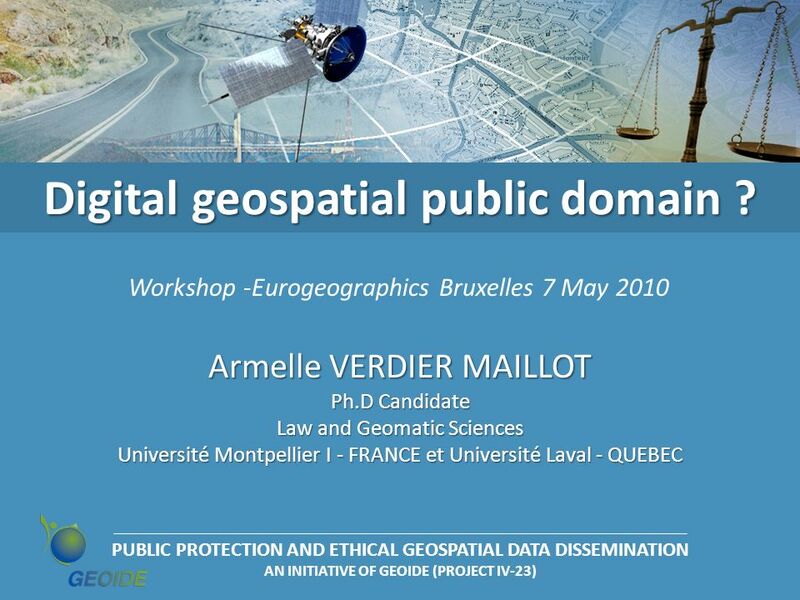 1 Digital geospatial public domain ? 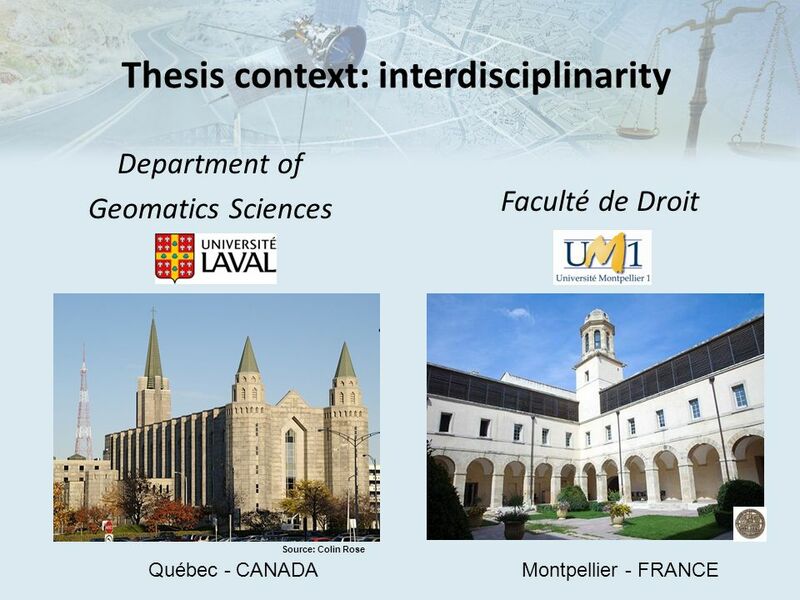 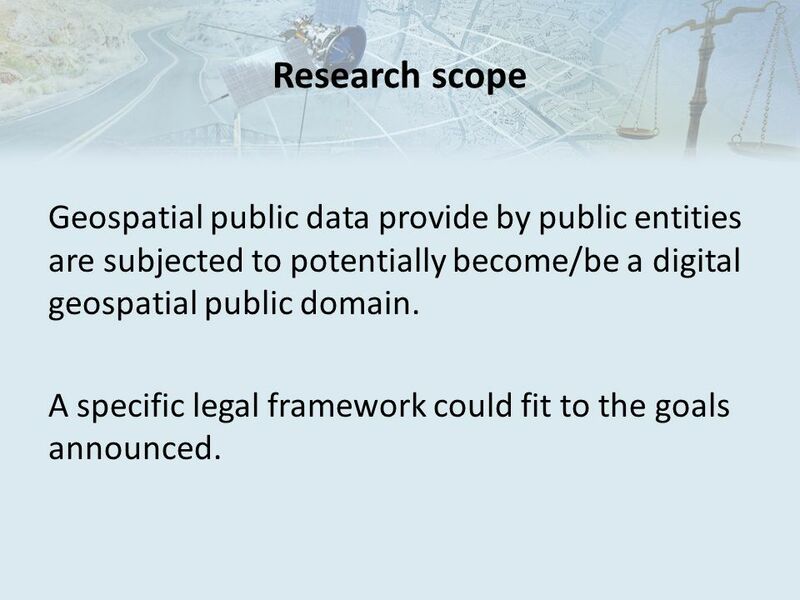 9 Research scope The actual legal framework doesn’t provide a proper response to the singular caracteristics of the geospatial public data. 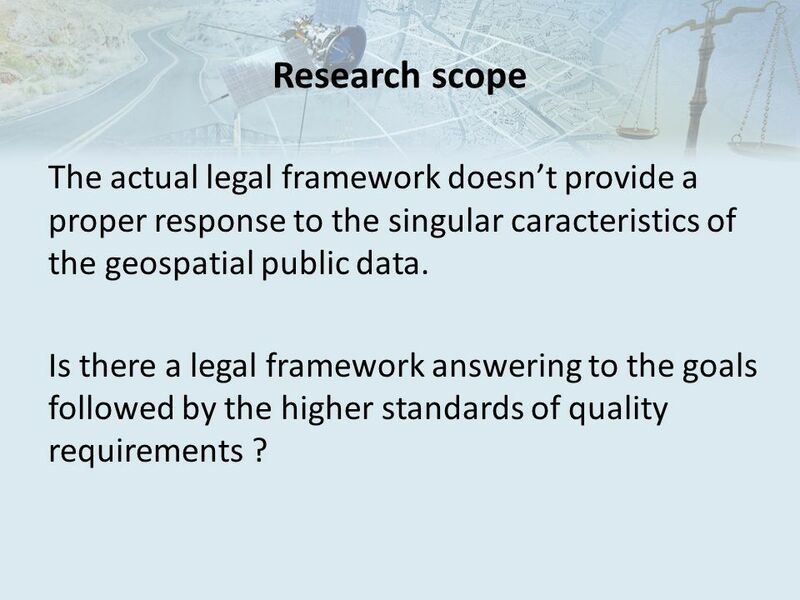 Is there a legal framework answering to the goals followed by the higher standards of quality requirements ? 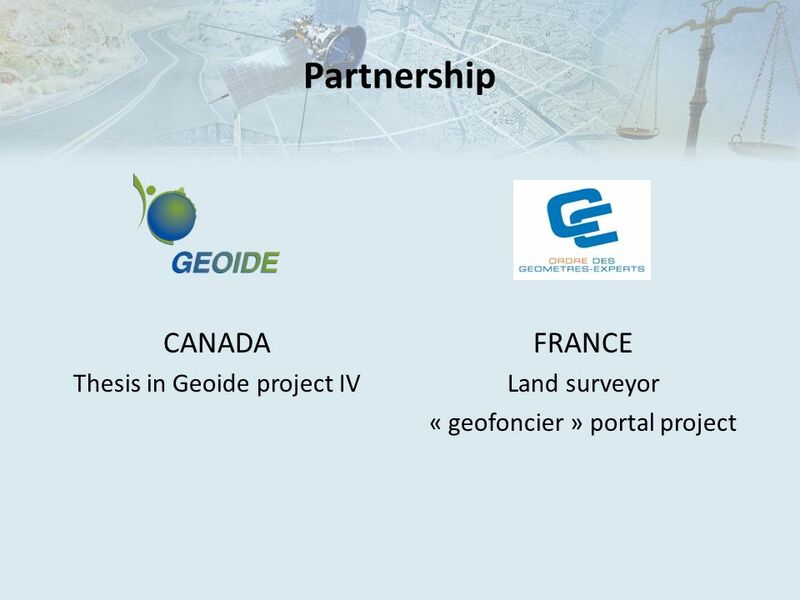 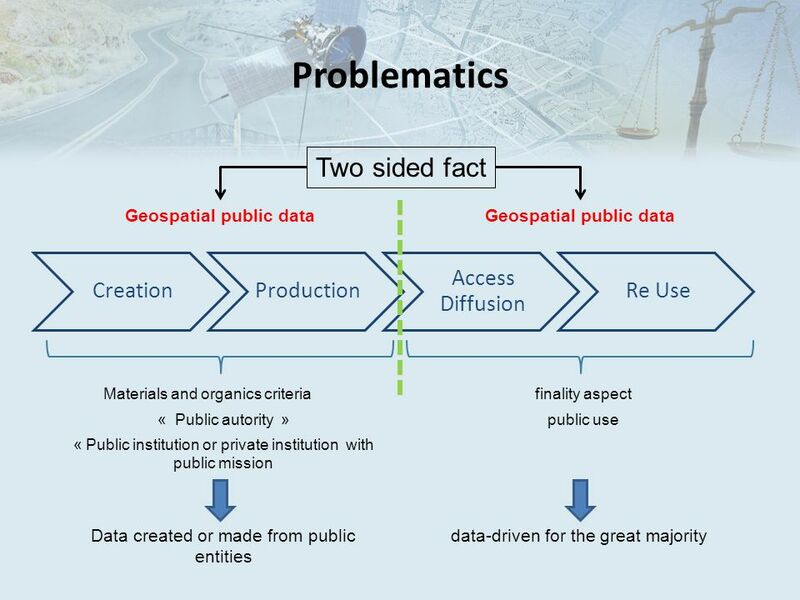 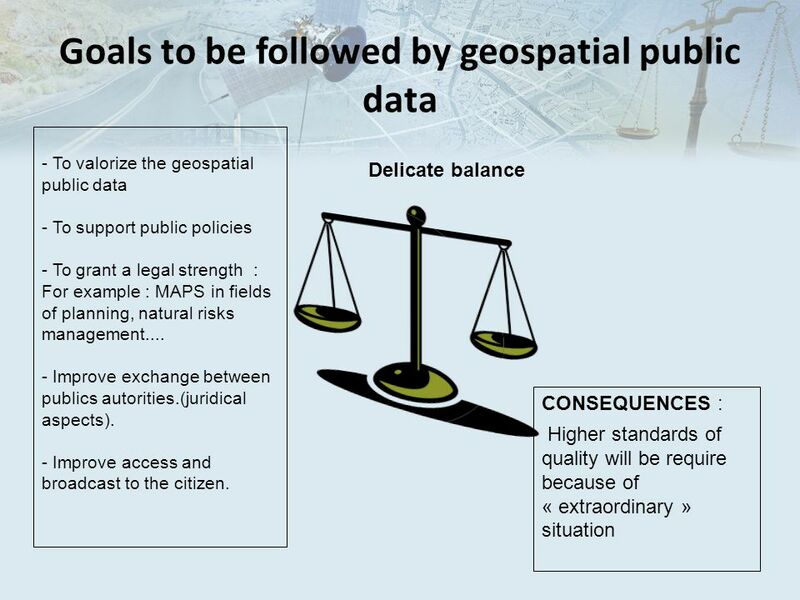 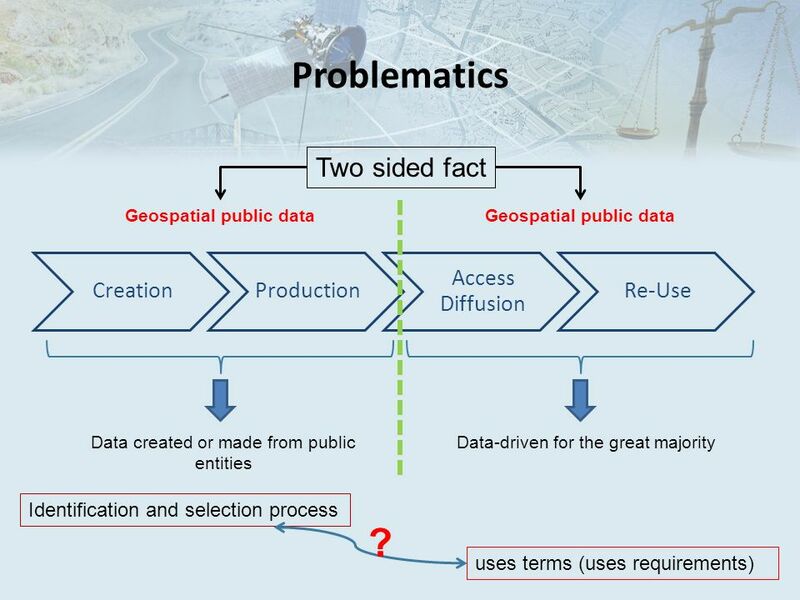 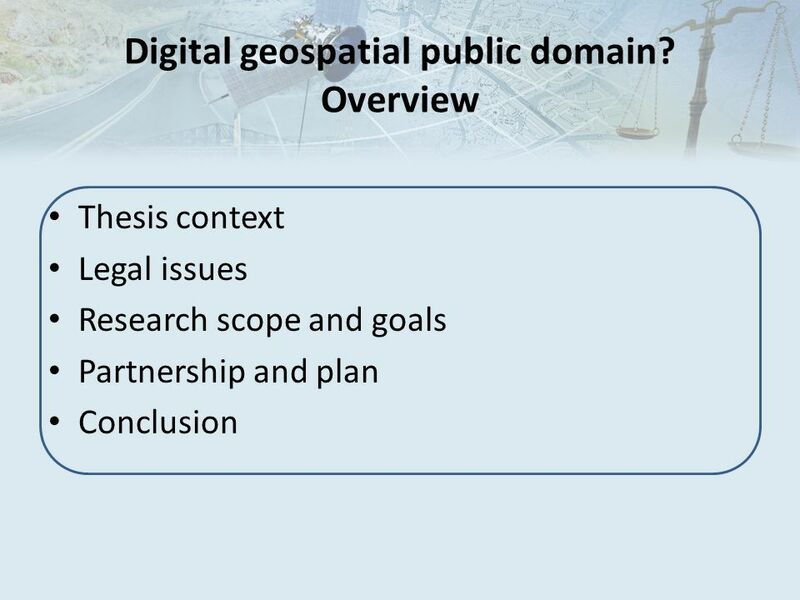 10 Research scope Geospatial public data provide by public entities are subjected to potentially become/be a digital geospatial public domain. 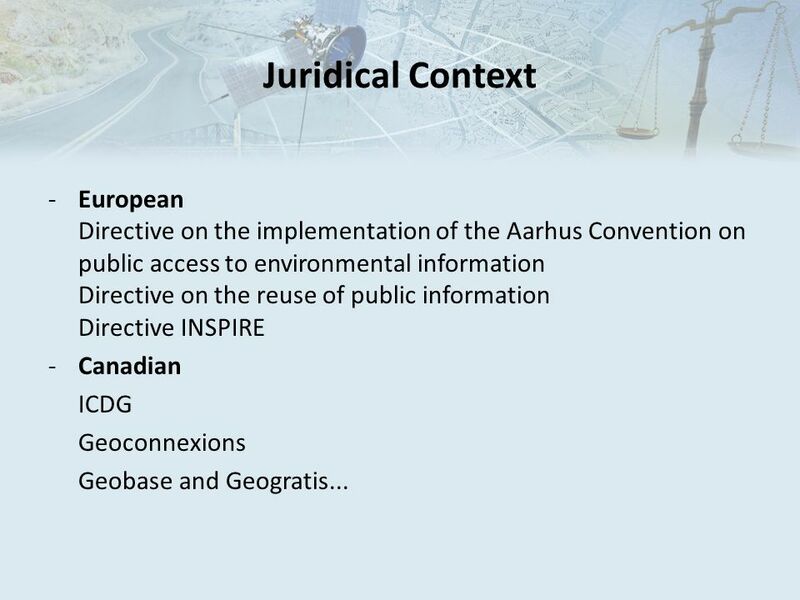 A specific legal framework could fit to the goals announced. 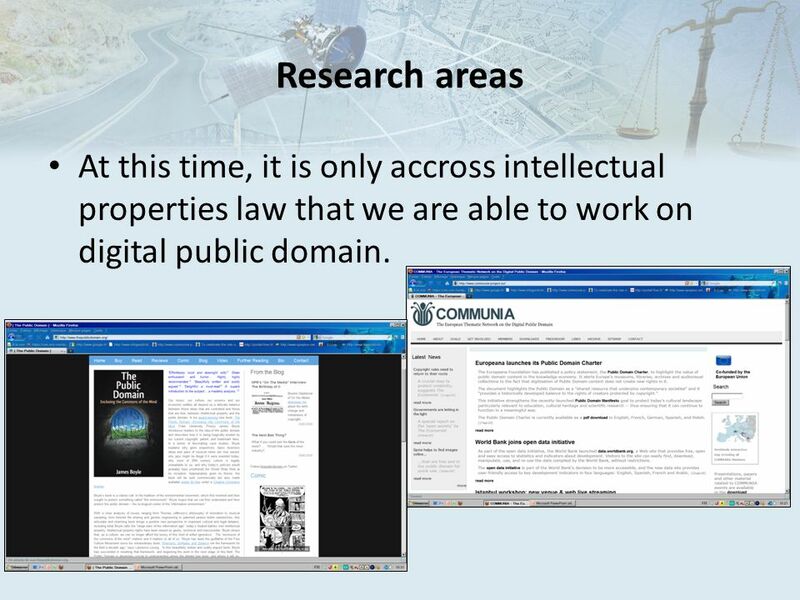 11 Research areas At this time, it is only accross intellectual properties law that we are able to work on digital public domain. 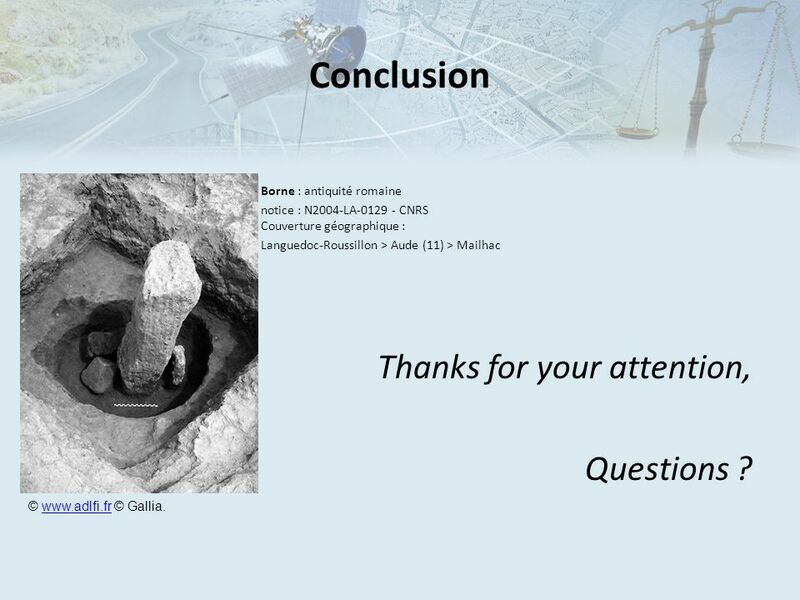 16 Conclusion Thanks for your attention, Questions ? 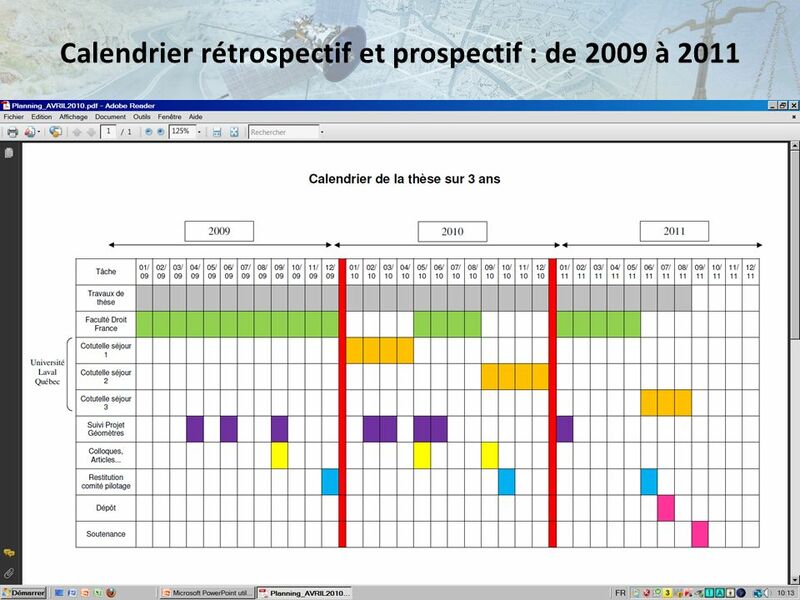 Borne : antiquité romaine notice : N2004-LA CNRS Couverture géographique : Languedoc-Roussillon > Aude (11) > Mailhac Thanks for your attention, Questions ? 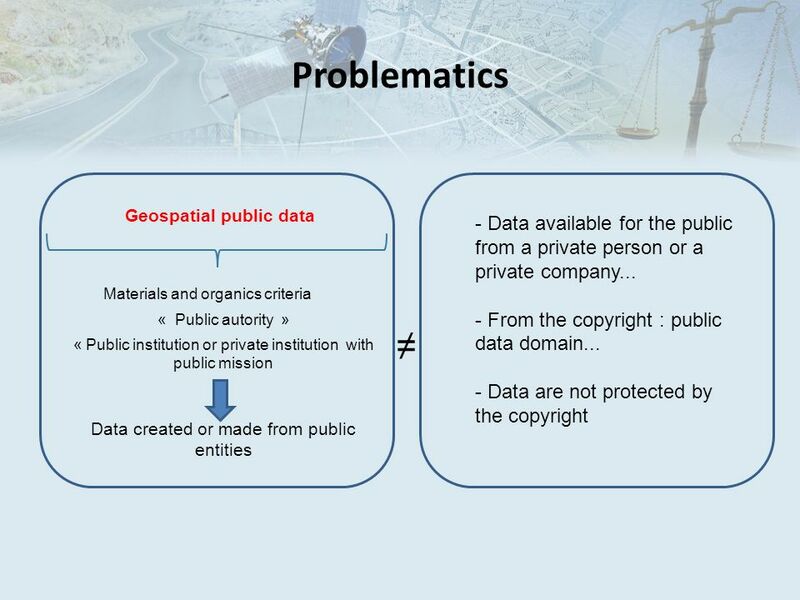 © © Gallia. 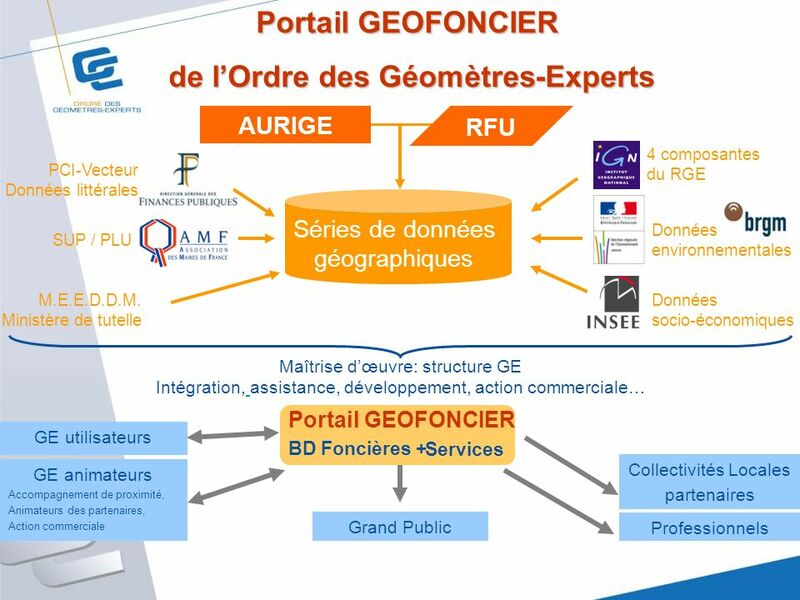 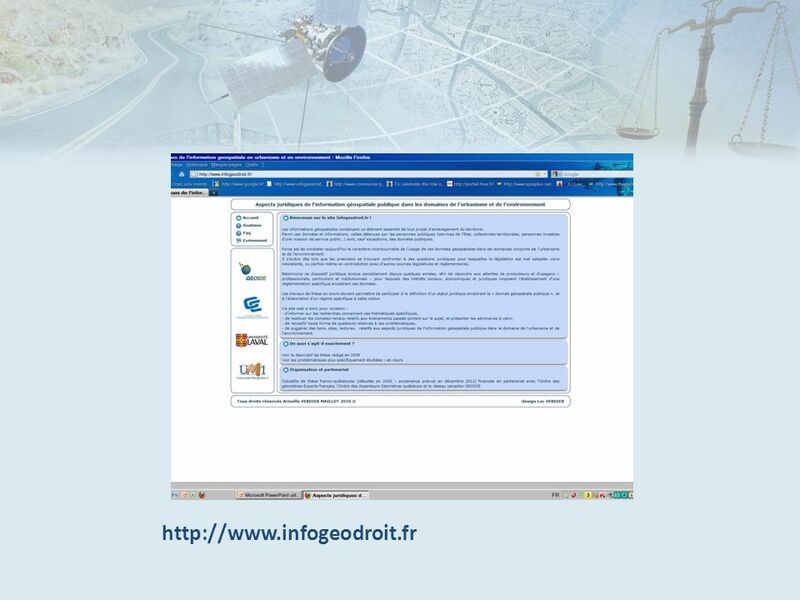 Télécharger ppt "Digital geospatial public domain ?"